There is a town between farce and fear, a town where karaoke funeral parlors distract from ghosts practicing yoga. Where dictators take night classes as grandma bones on a motel murphy bed. Look up ahead; is that Fat Rodney? 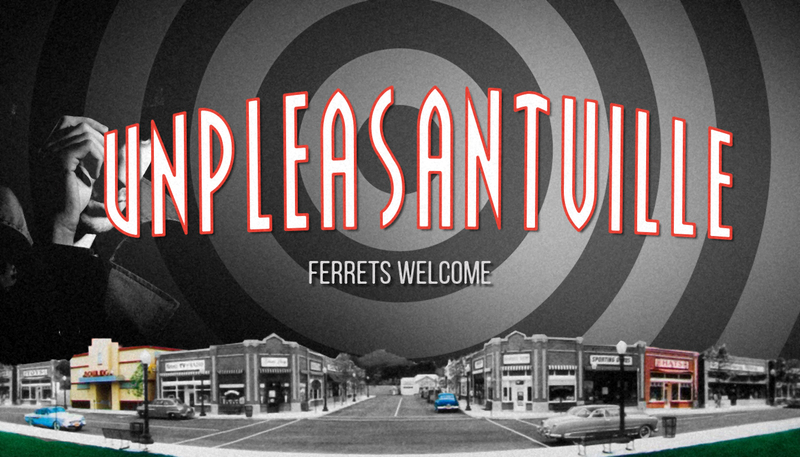 Welcome to Unpleasantville. The With a Z Players are proud to produce this 50-minute, noir-themed sketch comedy show celebrating the absurd.